Like a debutante with eager anticipation, the adrenalin rush of expectation and enthusiasm to step into a new dimension of experience, is an enticing and exciting thrill. 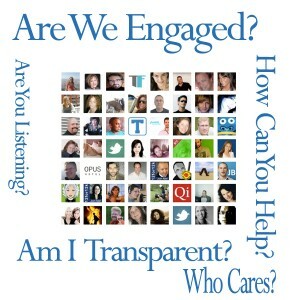 So is the bubbling energy of social media engagement. In the narrative shared here, the characters are based on fictionalized truths. The exposé of the grand machinery of social media is way too involved and convoluted to contain it in the mechanics of a blog. 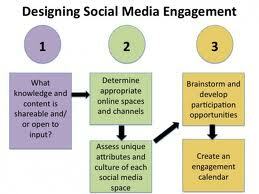 I choose to dress the science of social media engagement and the gamut of its extensions as an enactment of themes. The story illustrates people whose work and lives are circled around their interactions in social media communities and the power of engagement. 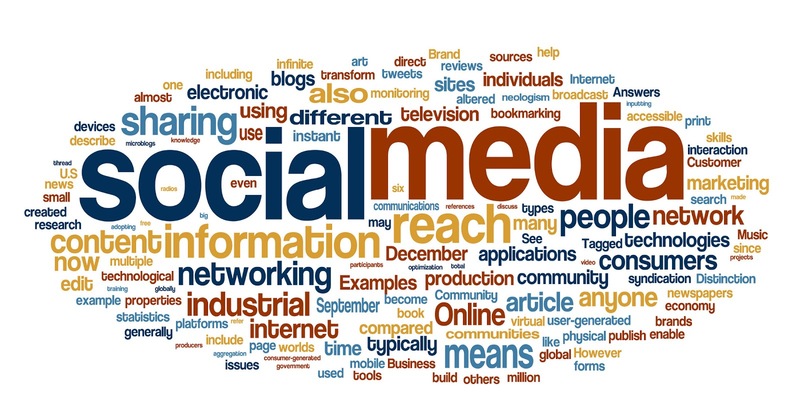 Social Media Engagement, is parodied as a romance, where competing media platforms are the numerous social media outlets in pursuit of their millions of followers.The basis of success in social media is viral value. The competitors woo and win followers, and build communities. They establish models of engagement and are the major contenders for global prominence. Dr. Vergis Tenar, the forerunner in the campaign race for political appointment and his Administrative Officer, Maria Sinclair, are the avatars to the story. Maria is thoroughly immersed in social media, from the perspective of its intrigue and capabilities. She is most seduced by the virtual activities of world collaboration value that is available instantaneously. She is active on social media and is interested in new and developing products, apps, research insights, that can increase her talents, skills and her overall productivity. She examines models of social media engagement and is prepared for her upcoming debut moment. In the key role of Administrative Officer for the Governor elect, she is the lead presenter at the offsite virtual meeting webinar event. The invited audience includes the Governor elect’s advisory team, business colleagues, technology leaders, subject matter experts and many representatives of community constituents. The title of her topic: “The Role of Social Media and The Rules of Engagement for a Winning Outcome”. She is invigorated with enthusiastic nervous excitement, just as she was, at her first dance at the Queens Park Ballroom twenty five years earlier. For her coming out as a debutante, she was entrancing. The gown she wore was the “one and only”, from a wide consortium of haute couture choices. It was a unique design, with the perfect composite of glitter and woven silk, intricately threaded in a fusion of Caribbean vibrancy. The dress lay exquisitely on her curvaceous and statuesque body contours. As she moved the dress flowed with each muscle shiver, clinging sultrily with fusion and excitement. And in the ecstasy of this occasion she swooned in the revelry of majesty and magic. The feast of glamour and allure is very intoxicating. The premiere command performance is exacting and persuading. To deliver the best presentation was her optimal goal in her new career role. She was hired directly by the candidate, bypassing the strict rudiments of vetting. As the Personal Staff Assistant and Administrative Officer for his management consulting lobby firm, she is pivotal to the organization and its future success. They met two and a half years earlier at a social media networking event she had organized. The guest list was most impressive with over one thousand attendees. There were local business representatives, a diverse and culturally mixed group of professionals, and a host of people of varied backgrounds and nationalities. Everyone was there to further their business interests and connections. She masterfully socialized with her guests in maneuvers of quick meet and greet chat intervals. During their fifteen minute conversation they established a connection. Their initial business introduction became a shared vision of community enterprise and social advancement. At thirty five, Vergis Tenar is an accomplished musician, who studied Jazz and Improvisation Modern Music at the Longy School of Music, Boston, Massachusetts, and also holds Doctorate of Philosophy from George Washington University, in the District of Columbia . Vergis Tenar, Ph.D., is the President of iDare Integration and Organization Solutions,(iDIOS). On May 15th, 2012, Maria is the keynote speaker for iDIOS at their global strategic offsite convention in Honolulu, Hawaii. Her presentation is tweaked and fine tuned with calculated scrutiny. She studied her subject matter with detailed analysis. She rehearsed her talking points and timed her transitions for smooth delivery. For her foray in social media mastery, Maria develops a library of the most significant players in the geography of social media. 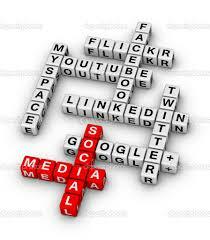 There are the social media game changers. There was AOL, and MySpace. There is Facebook, Twitter, Linkedin, Instagram, Tumblr, Flickr. The current trendsetter in social media cyberspace connectivity, Google. There are as many platforms as there are choices for individual consumer interests. Some have plummeted in the follower volume activity, and others are viral with growing millions of users and followers. Facebook has revolutionized and overturned the foundations of social media connectivity and engagement. Facebook is the genesis of the romance of social media. ” The IPO was one of the biggest in technology, and the biggest in Internet history, with a peak market capitalization of over $104 billion. Media pundits called it a “cultural touchstone.” http://en.m.wikipedia.org/wiki/Initial_public_offering_of_Facebook . Facebook: As of July 2012, with over 1 billion users , http://m.huffpost.com/us/entry/1938728/ has become the lounging social room for its largest demographic of current users. We acquire Pyra Labs, the creators of Blogger. Google Voice debuts on the iPhone, and Google Instant comes to most smartphones. After the State of the Union, U.S. President Barack Obama has a Google+ Hangout to answer questions directly from citizens. Google Play gives you one simple destination for music, movies, books and apps. With consumptive appeal for interaction with family, friends, loved ones, social media engagement has become an overly indulgent lifestyle for its most obsessive users. From the research gathered from online communities, consumers want engagement, and seek connection. They want to be seen, heard, shared and be visible. They seek relationship and courtship. With heightened expectations and more desires, consumer demands increase for wants and needs. With many thanks to my mentor, Dr.Vergis Tenar, President of iDare Integration and Organization Solutions,(iDIOS), for the vision and leadership and statesmanship, staff, and you the distinguished audience, I have the esteemed honor to present the topic: The Role of Social Media and The Rules of Engagement for a Winning Outcome. The lights then dimmed, and flashing strobe lights were directed to the woman, emerging out of a global structure, showing a kaleidescope of color, forming knitted twists around the globe. Bursting through spheres of circles, populations of world followers were shown feeding into the event. They were sending tweets, posting remarks, on Facebook, Twitter, LinkedIn, Instagram, and many of the popular social media platforms; and all this was happening in real time and simultaneously. She was impeccably attired. Her radiance beamed. In the simplicity of a black structured fitting armless dress, hemmed to fit slightly below the knees, she looked elegant, yet distinguished. She wore a colorful scarf, carefully draped to form angular rows from the nape of her neck to mid chest, which complimented the black ensemble, with vibrant accent. In this quasi fictitious scenario, I share the true reality of what social media engagement entails. There are the many platforms as there are its dedicated users. Contrary to the many discussions, of takeovers within the social media industries, the opportunities for engagement, branding, marketing and creating followers are brimming with innovation and technological adventure. In contention with the idea of scope and potential, for individual, for businesses, for campaigns, for events, for virtual collaboration, for technology breakthroughs in the current media analysis, Google has surpassed the bandwidth of capabilities and is growing with exponential demand that is unstoppable.The love affair with social media engagement is in full bloom and Google is leading in viral dominance. By the end of her presentation, Maria is escorted to center stage to take a bow. Dr. Tenar’s zeal is untamed. He is hooting and cheering. The future of his campaign is optimistically assured under the dutiful watch of his next Chief of Staff, Maria Sinclair.She gloated in the moment, and was elated with all the praises and accolades that she received. In the thrill of exhilaration her mind wandered, and she was swirling and dancing and delirious with joy. She remembered in ecstasy, the night of the debutante ball.